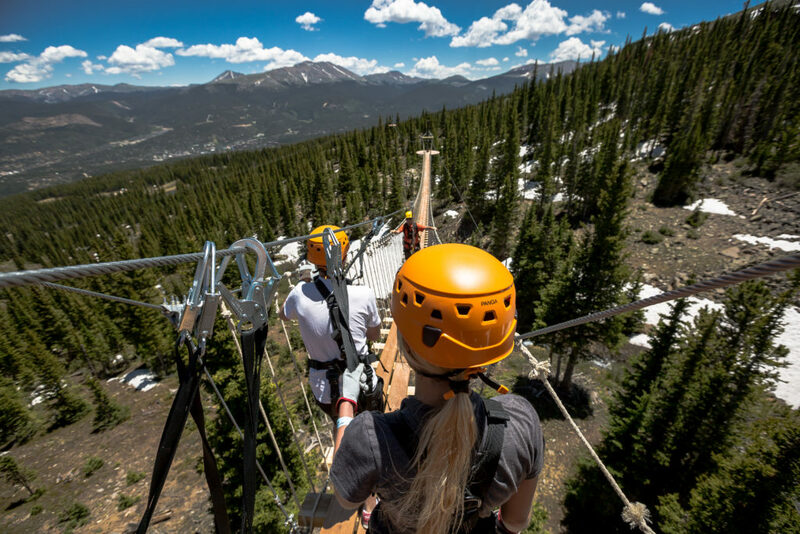 You’re all set of a day of adventure at Breckenridge Ski Resort’s Epic Discovery – the Expedition Zipline, the climbing wall, the alpine slide! But did you realize that your journey to the top of the mountain would be just as breathtaking as the adrenaline-pumping activities? And not because of the lack of oxygen, but because of the views. Here in Breck, we’ve got some of the best views in North America. Prepare to be wowed as soon as you settle in for a ride on the Colorado SuperChair. From this high alpine perch, you’ll get a great view of much of the Tenmile Range. This is the name of the mountain chain that begins with Peak 1 in Frisco and runs south to Quandary Peak, one of Summit County’s three mountains over 14,000 feet high. 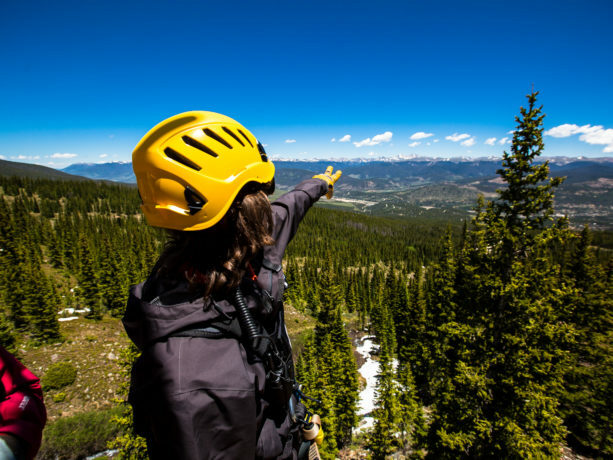 Breckenridge Ski Resort’s five peaks are nestled right in the middle of the Tenmile Range. As the chair whisks you uphill, straight ahead is Peak 8, home of the highest chairlift in North America. After you gracefully get off the chairlift, take a minute (or several) to enjoy the view. From up here, the town seems tiny and the mountains magnificent. Baldy Mountain rises from behind the town to a towering height of 13,690 feet. Look for a big rock outcropping towards the south to find the cut of Boreas Pass Road. This road traces the old railroad path traveled by trains as they hauled rocks out of the mountains. 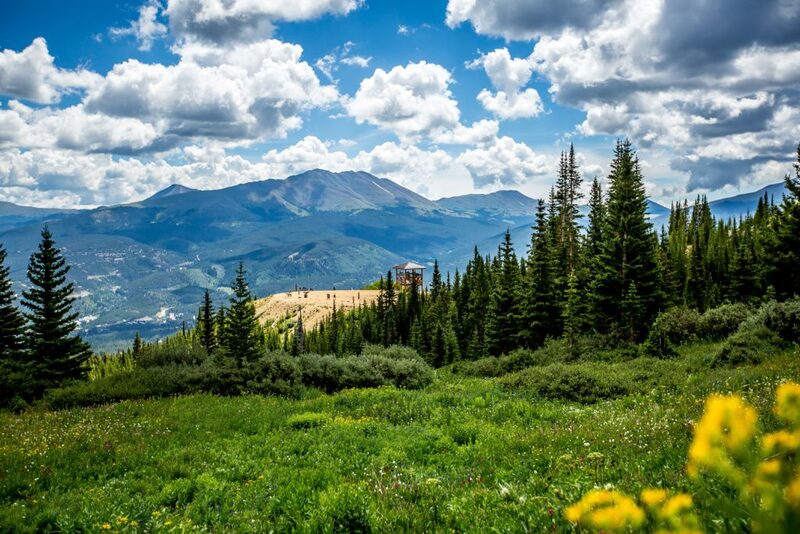 Turning your gaze to the northeast, you’ll spot the green ski slopes of Keystone resort. Past the ski area, two peaks loom above the others. These are Greys and Torreys, two more Summit County mountains that top out above 14,000 feet. Heading to the Expedition Zipline? On the way to Independence Outpost on Peak 7, look for bright flashes of color from the blooming wildflowers – red, pink, and green Indian paintbrush and purple columbines. 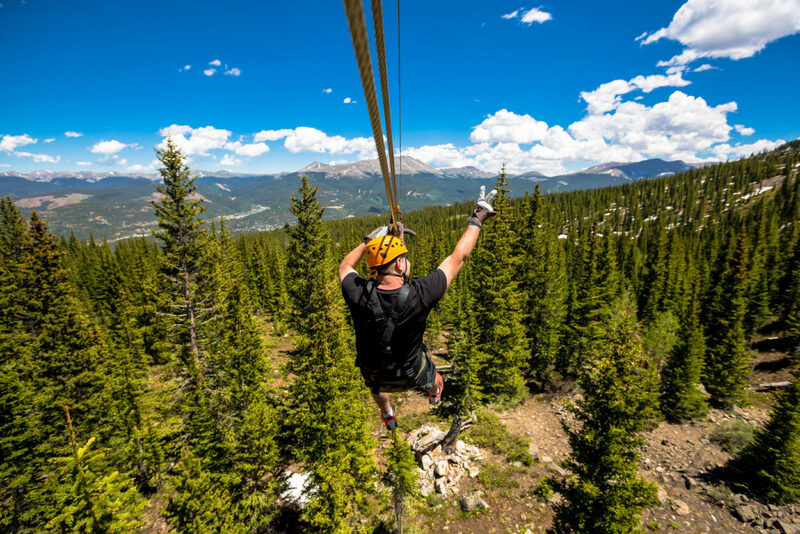 As you climb the zipline towers, you’ll find yourself in a sea of green surrounded trees. The slopes of Breck are home to lodgepole pines, spruce, and fir. If you can tear your eyes away from the mountain views, scan the ground for a glimpse of the groundhog-like marmot or the adorable pika! Bottom line? No matter where you look, Breck has some pretty awesome views to discover.